Harvard University Press, 9780674025691, 293pp. Autism is a complex and incurable constellation of bizarre behaviors, impaired cognition, limited language, and most distressingly, a lack of responsiveness to other people, and it has been the center of impassioned debates for decades. What is it? What causes it? How can it be treated? In The Science and Fiction of Autism, one of the country's leading experts in behavioral treatments approaches autism through the context of its controversies, showing where extraordinary and unfounded claims have falsely raised hopes, stirred fears, and ruined lives. Arguing that autism is an entirely biological disorder, however complex its neurological origins, Laura Schreibman lays waste to the beliefs that it is caused by "refrigerator mothers" or the MMR vaccine, as well as to the simplistic claims that it can be cured by a variety of unsubstantiated treatments. 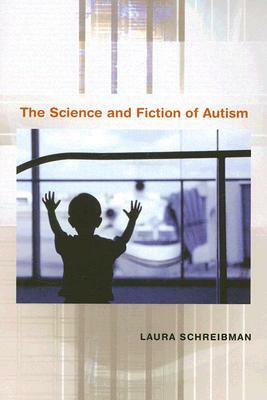 Drawing from her own long clinical experience with autistic children and their parents, Schreibman arms her readers--students, educators, psychologists, and parents alike--with information and arguments to deal with the onslaught of good, bad, deficient, and irrelevant ideas about autism.